President’s Day is celebrated on the third Monday of February to honor American Presidents George Washington and Abraham Lincoln. We celebrate these presidents in February because their birthdays are on February 22, 1732, and February 12, 1809, respectively. I want to focus on Washington, as he was a remarkable man, great leader, and the father of our country. There are timeless lessons to be learned from Washington’s leadership that can apply to all of us today. Our first president believed deeply in God’s providence and he demonstrated it with his actions. He was not one to give eloquent speeches and remove himself to a comfortable tent. He put his faith and his beliefs into action. A leader “walks the talk” and recognizes that true authority comes from God. Every leader is but a steward of power that rightfully belongs to God, and should act accordingly. Integrity should be the first characteristic of a leader. While no one is perfect, Washington truly tried to live by his own words and principles at all times. 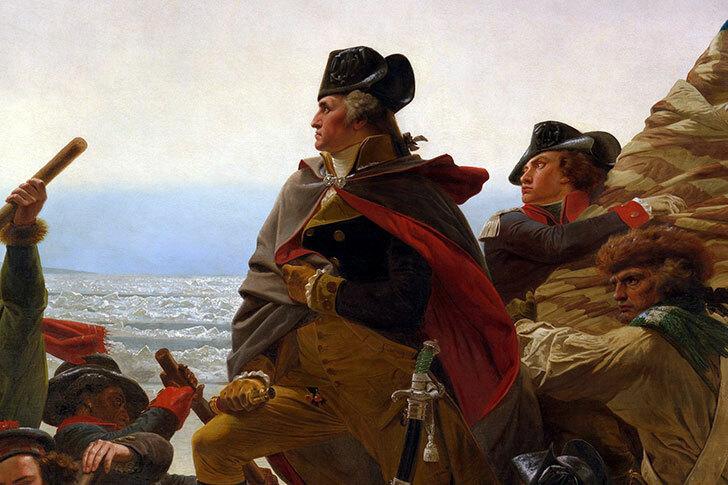 Washington’s high moral character enabled him to lead his troops through difficult times. For example, Washington was able to rally his troops, even during the difficult winter experienced at Valley Forge in 1777-1778. Washington was against tyranny and he valued individual freedom. Therefore, he did not act like a tyrant and extended freedom to others. Washington had faith in his people. No matter what rank, Washington treated everyone with the same respect. God’s image is indelibly imprinted on all of us. Leaders, especially, should demonstrate this truth in all of their relationships. If God can give us free will, a leader can empower people and then give them the agency and support to do their best work. Once the men knew that Washington would respect them and that he was personally invested in the mission, they were willing to give their all for him. This type of relationship is extremely effective and allows the leader to ask for great things from his/her followers. The bad leader is one who sets up rules without relationships. That structure only leads to rebellion. Nothing creates a stronger loyalty than a follower knowing the leader truly cares about them. This willingness to look out for others in pursuit of a higher purpose is true servant-leadership. A leader puts other people first. Every February we celebrate Washington’s accomplishments. This year, I encourage you to take a deeper look at what made him a great leader and consider adopting some of his leadership characteristics into your own life. If you would like to learn more about Christ-centered servant leadership, consider a graduate degree in Leadership Studies offered fully online at Geneva College. Contact 800-576-311 or msol@geneva.edu. The next MSLS entry point begins on March 6, so there is still time to get started.